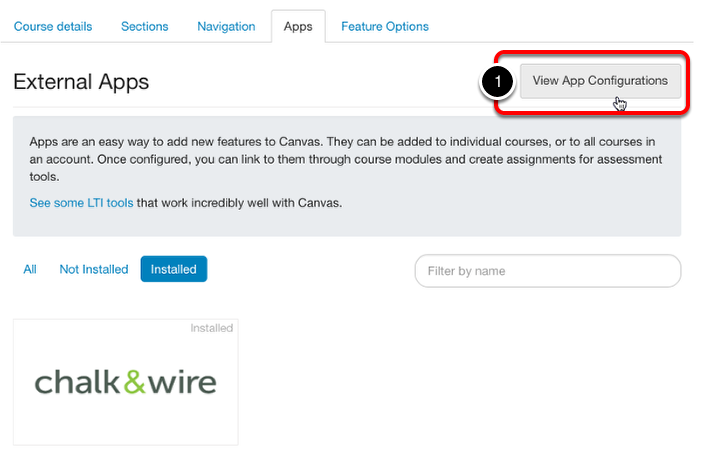 After you have added Chalk & Wire as an app to your course Canvas, you will need to edit the app to allow for submission to an assignment. 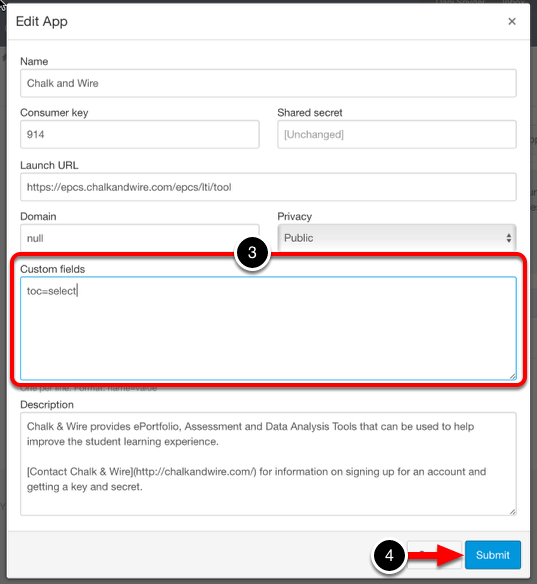 This is where we will prompt the system to select a specific page within Chalk & Wire to direct the students to, rather than having them "land" on the Dashboard. 1. 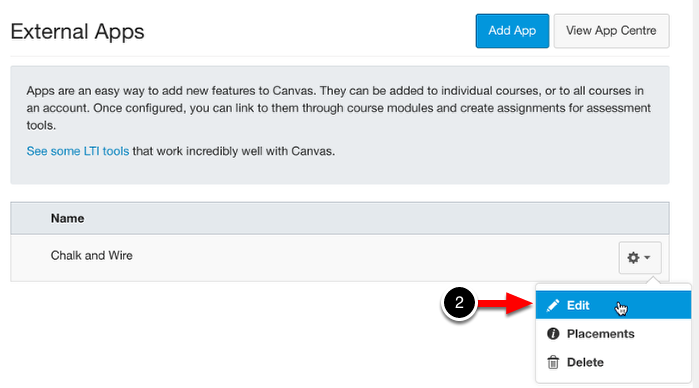 Click on the View App Configurations button. 2. Using the Tools icon for the Chalk & Wire app, select Edit. 3. Enter the Custom Parameters that you would like to use. Each custom parameter must appear on its own line.